Our latest model has a ultra flexible two-tone strap for comfort and a large display for clarity. It’s a modern sleek watch new for 2019. NFC (aka Near Field Communications) is already used for contactless payment systems and is included in the vast majority of smartphones. As well as payment details, NFC can be used to transfer other data. We have included NFC in the PoolMateSport and developed iPhone and Android apps so you can sync and view your swim data. Data can be synced by briefly holding the watch to the device. No pairing needed. If you don’t have a suitable smartphone, the package includes a download clip that plugs into your USB port. 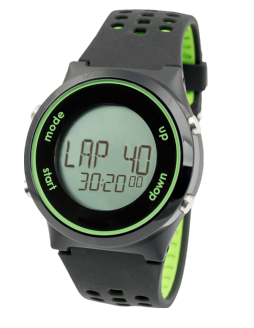 The watch will transfer the data to your computer and you can easily track your progress on screen with our software application. 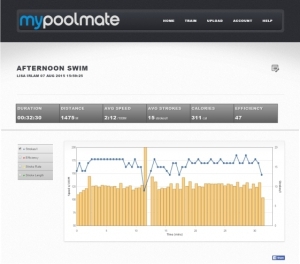 Whether you swim in pools or open water, the PoolMateSport will track and download your swims. The PoolMateSport connects to Android or iPhone (by NFC), just install our app and make sure NFC is enabled on your device. If you don’t have a suitable device you can download data to a PC or Mac by the USB clip that is included. Note- When data is synced via smartphone the PoolMateSport shows data from each set you swim and a summary of data from a swim. If you want lap by lap details you need to sync by computer. PC or Mac: Syncs swim data by the included Download Clip. 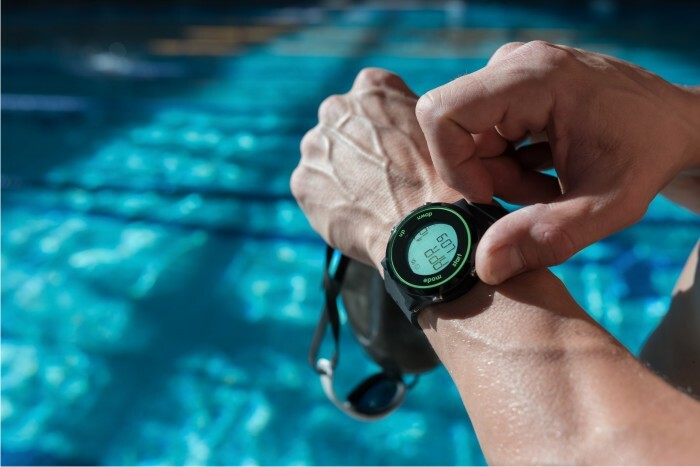 A simple calibration lap is all that’s required to set up the special open water mode, which uses the in- built accelerometer to work out the swim metrics. 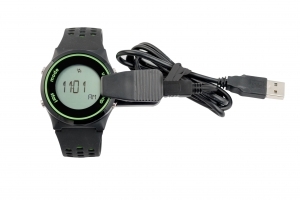 Using this method rather than GPS, which takes a lot of power and has difficulties operating in water, means the PoolMateSport has a battery life of around a year.